I totally agree with it and especially if it’s a weekend- What do you think? 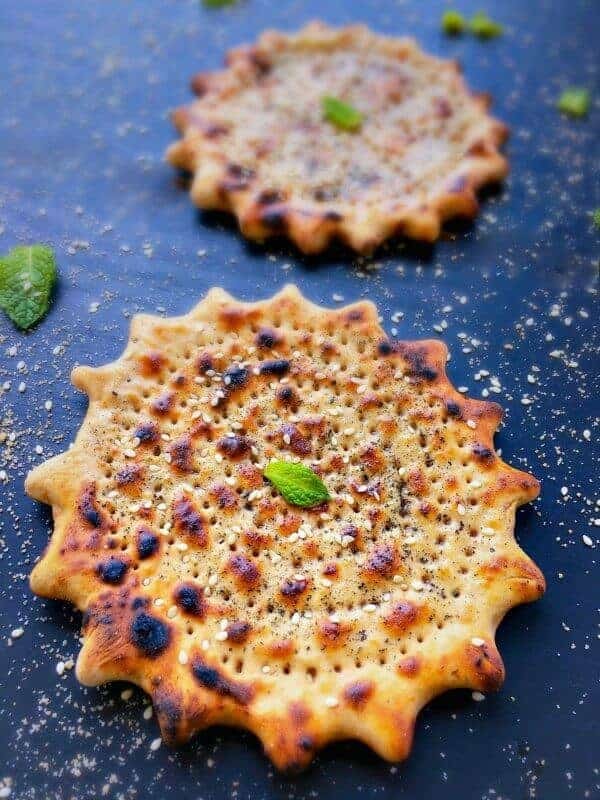 You get the idea 🙂 So this weekend, I wanted to share this special recipe Garlicky Khoba Roti – Glutenfree Indian Bread. 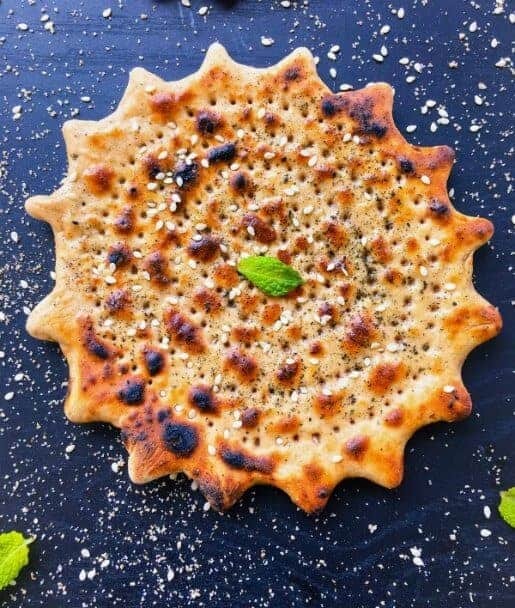 This roti/bread originates from Rajasthan, a state in Western India, popular for its music, colorful clothes, sand-dunes, old forts and definitely food. Oh, the food is excellent – Spicy and rich in flavors + ghee. 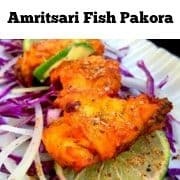 Growing up in New Delhi, we used to often drive down to Jaipur, Udaipur, Jaisalmer (all cities in Rajasthan) to nosh on their delicacies and site seeing. And one of my favorite dish that we only could get in Rajasthan was Khoba Roti with Spicy Buttery Meat – OMG, it used to be so delicious..almost soul-satisfying (It felt that the whole purpose of that 2-3hrs drive was just to eat these 2 things 🙂 ). 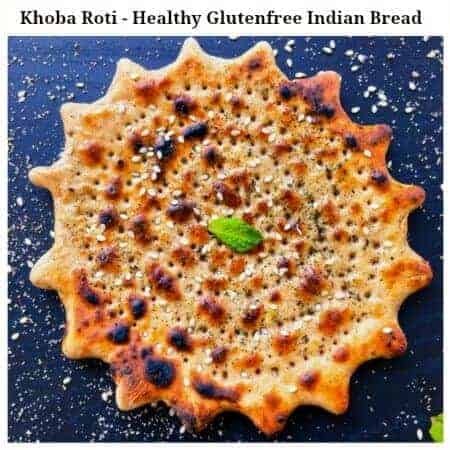 Fast forward now and lets talk about Khoba Roti means ‘Indented Bread’ – which is a thick circular/oval shaped roti/bread, made using whole wheat flour or any flour combination. In typical Rajasthani home, it’s made all the way by hand and then small indentation are made all over the roti and then it’s cooked thoroughly on clay stove or tandoor. Now, of course, we don’t have any clay stove at home but you can get the same taste and texture by making it on our regular modern day kitchen stovetop. 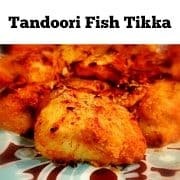 The recipe is very similar to making any Indian bread, just that you have to tweak some things here and there – Trust me, its easy and super yum! 1. You can replace GlutenFree Flour with Whole Wheat Flour or a Mix of Whole Wheat + All Purpose. 2. 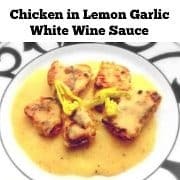 You can absolutely omit the garlic and make them plain too. 3. If Vegan, you can skip ghee and use coconut butter or any other vegan butter or oil. 4. You can skip mint and use coriander or just skip this step. Seriously, it’s an easy-peasy recipe and absolutely customizable to your taste. The only thing I insist upon is trying it with curry. 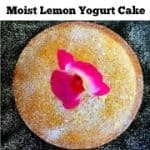 It tastes SUPER Delicious and nothing beats that taste. Add some ghee on the piping hot khoba roti to enhance the taste even further. 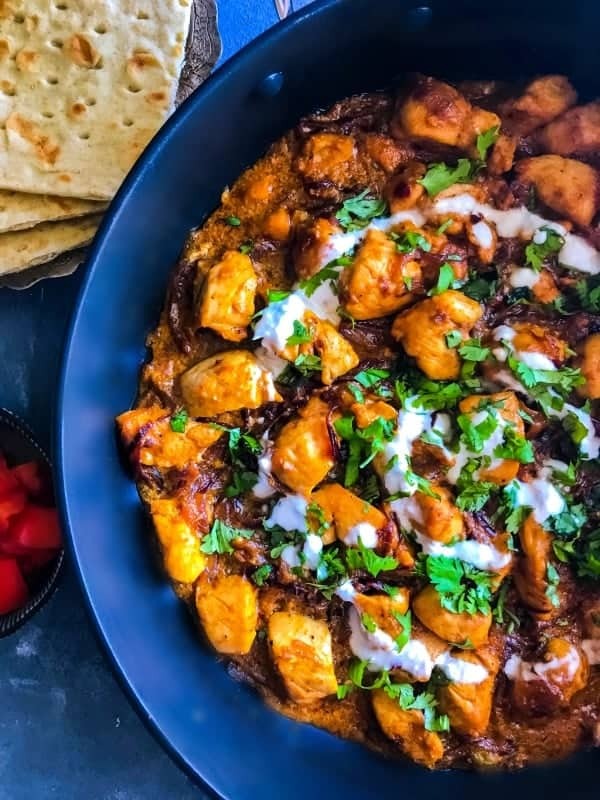 So, go ahead and try this Garlicky Khoba Roti recipe over the weekend along with this easy Indian Chicken Curry. In a food processor, add all the three flour, garlic powder, carom seeds, 1 tbsp ghee and pulse for 10 seconds to mix everything. Add 1/4 cup water and mix again to form a smooth but slightly hard dough. Divide the dough into 1o equal balls. Now, take one dough ball and roll it into a thick circular shape using a rolling pin. Use your fingers to form that star shape on the entire circle (see the process). 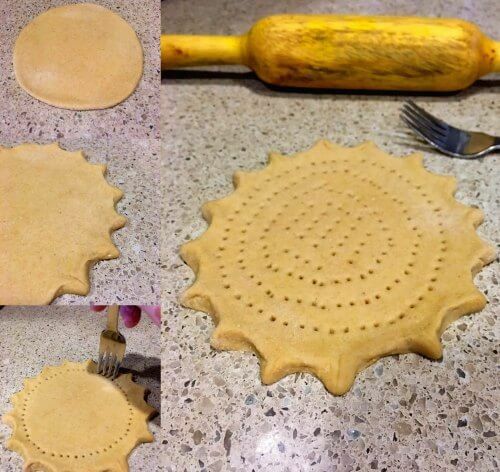 Use a fork to indent the inside of the circular roti (see the process pic). Repeat this process till all roti's are made. Heat a non-stick pan on high. 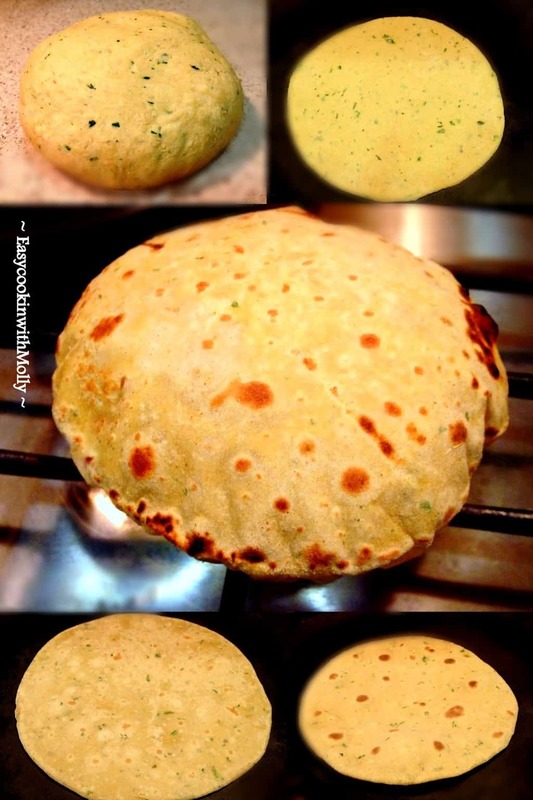 Place the raw khoba roti on it and let it cook for 1 minute (lower the heat during this process for even cooking). Turn the khoba roti to another side and cook for another minute. Life the cooked roti using the tongs and place it on high flames (side down) for 1/2 minute. Turn to another side and cook evenly. Repeat this process till all roti's are cooked. While the roti is cooking on the pan, use a thick kitchen cloth to press and cook it even further. 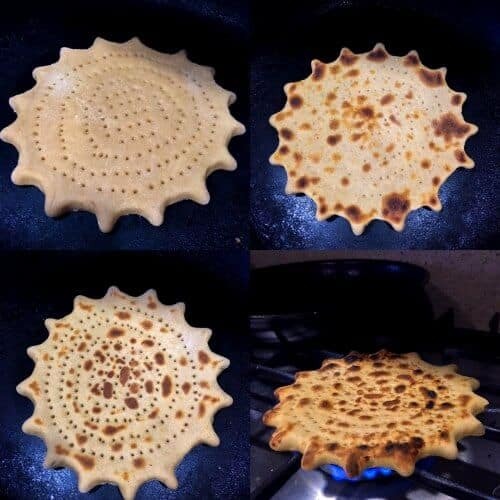 Turn the roti to another side and continue the same process using the kitchen cloth. Cook all the roti's similarly. Once the roti's are cooked on both the sides, smear some ghee on top of each roti, sprinkle with garlic powder, sea-salt and crushed mint leaves. Serve with Hot Curry for Best Taste. 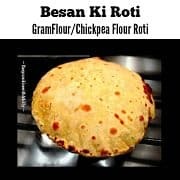 4 Replies to "Garlicky Khoba Roti | Glutenfree Indian Bread"
Oh this sounds Absolutely delicious Molly! I really like the star shape!